There is something special about lockets that set them apart from other necklaces. They often have such a special sentimental meaning behind them. When I was a little girl I always use to love looking at my mother's jewelry. She always kept the pieces that she loved in a special place. One of those pieces was a gold locket with a photo of my baby brother in it. It was engraved with pretty designs. I loved it so much. I use to sit and stare at it and admire at how beautiful it was. When my mother passed away, years ago, she left that locket to me. It no longer had the photo inside, but it was just as beautiful still. 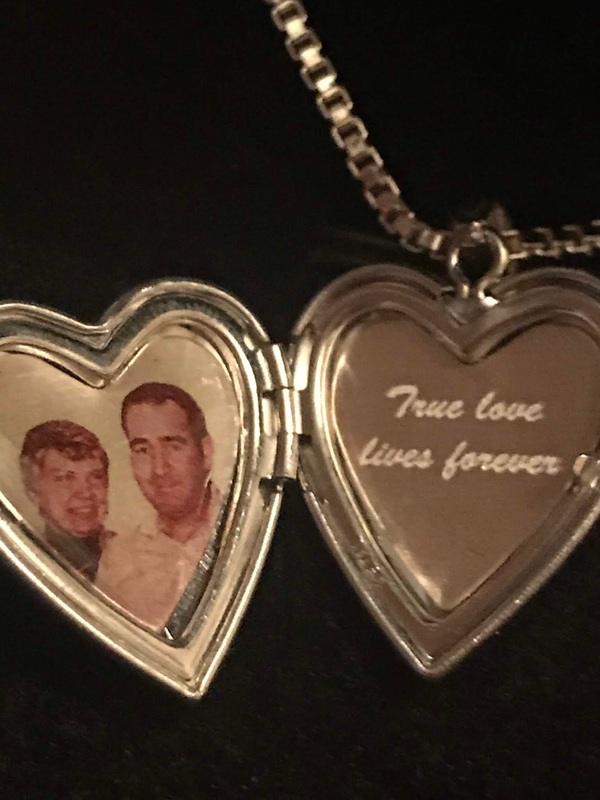 This Valentine's day I wanted to give a special locket to my favorite aunt, whose birthday falls on that day. This year she is turning 80 and I wanted to give her something extra special. Let me tell you about how you can customize the lockets from Pictures on Gold. 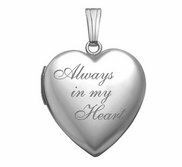 Firstly, there are various locket patterns to choose from. 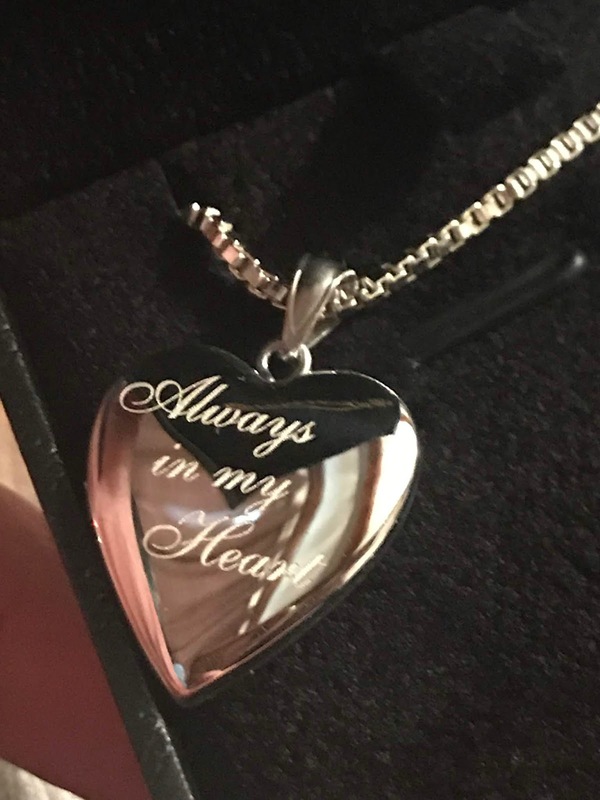 I chose to customize the Sterling Silver "Forever In My Heart" Photo Locket. It was perfect for the idea that I wanted to design for her. 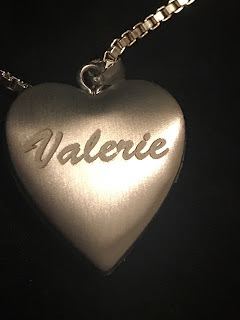 I was able to add engraving inside the locket and on the reverse side as well. 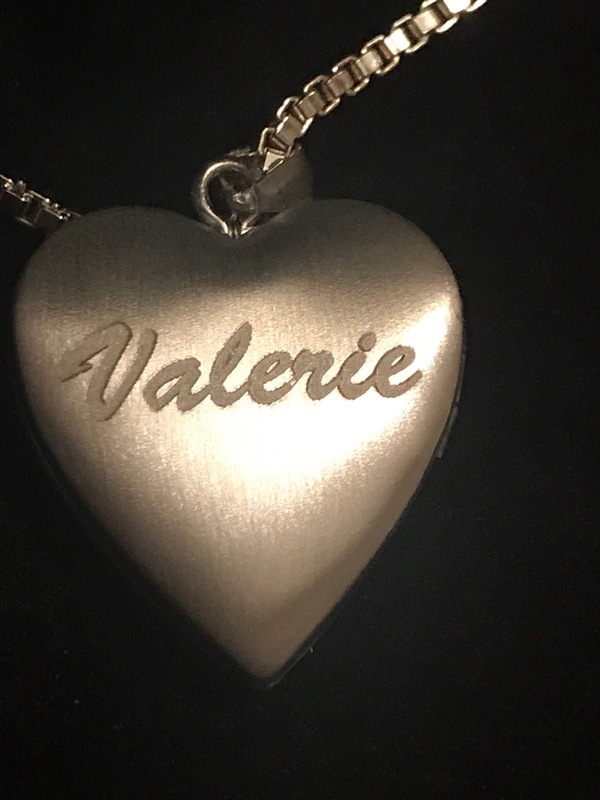 I decided to add her name to the reverse side so that she could wear the locket either way. On the inside I added a special photo of her and my late uncle that I know she would love. After designing the locket to the way that I felt would be perfect, I was then was able to pick from various chain types and lengths. The process of designing the locket was so simple and I love the way it came out. I know she is going to love it too. This definitely is the perfect Valentine's day gift for her. Pictures on Gold is offering a 10% discount to all of my readers! Use code PC valentine10. The Review Wire and I will be having a Pictures on Gold "Always in my Heart" Silver Locket Giveaway during our Valentine's Day Giveaway starting February 1, 2019. Be sure to enter!